The firm, however, left room for resolving the conflict by stating that the suspension would take effect from March 11, leaving the following week up for negotiations. “Hyundai Motor opposes the unilateral transaction fee hike initiated by some card companies. And with this, we have decided nullify our contracts with five such card companies,” Hyundai Motor said in a statement. The five companies are Shinhan Card, KB Kookmin Card, Samsung Card, Lotte Card and Hana Card, which comprise Korea’s biggest credit and debit card providers. The South Korean automotive giant said it had opposed the card firms’ fee hike plans and had requested further negotiations on the matter. But the card companies pushed through with their fee hike Friday. Given such, Hyundai Motor and Kia Motor will end their contract with the five firms from March 11, the automakers said. “Even after the contract termination and the grace period has ended, we are willing to continue our negotiations if requested by the card companies,” Hyundai Motor said. 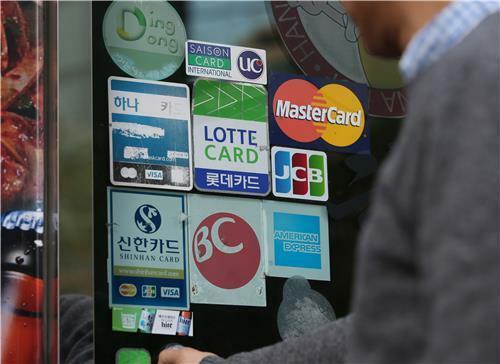 The move came as local credit card firms decided to charge higher transaction fees to its big-money clients with an annual revenue exceeding 50 billion won ($44 million), after changes to local card transaction fee regulations took effect in November. Last year, the Financial Services Commission ordered credit card companies here to lower their transaction fees for small businesses with less than 3 billion won in annual revenue, extending the ceiling for lower fees from the 50 million won revenue mark. To even out the losses, the FSC simultaneously made way for credit card firms to claim higher “marketing activity fees” from client firms with more than 50 billion won in annual revenue, enabling fees to be raised by up to 0.25 percentage points. In line with the changes, credit card companies recently notified big-money clients with revenues exceeding 50 billion won that they would be raising their transaction fees according to conditions. But major companies, consumer brands, supermarkets and retailers here that handle a high volume of card payments have refused the new terms, claiming they are unfair and lack due reason. “We have never heard of a case where the consumer decides to buy a different car or changes brands because of a card company’s marketing scheme,” said an official from the local automotive industry. For big corporations like Hyundai Motor with revenues in the trillions of won, even a 0.1 percentage point hike results in massive costs. The automaker was reportedly notified that its card transaction fees would be increased from 1.8 percent to 1.9 percent, posing a financial burden to the company as it is grappling with slowing profits. Hyundai Motor said it is now engaged in continued negotiations with BC Card, NH Nonghyup Card, Hyundai Card and Citi Card over transaction fees, while maintaining the previous fee rate.